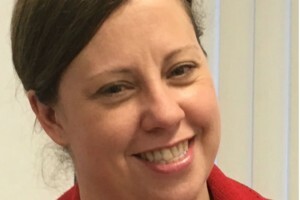 Teresa Ewington, Group Head of Talent, Learning and Capability at the Department for Transport, digs into how she's been helping to co-design a brand new learning offer for the Civil Service, including mandatory learning. That’s what my grandad used to tell me while he was turning over his allotment. And because my grandad was a wise old owl, he wasn’t just talking about food but life in general. So, here I am, concentrating on ‘growing our own’ as part of a task and finish group (TFG) working with Civil Service Learning (CSL) to co-design a brand new learning and development offer for civil servants. If you’re the gambling kind, throwing seeds randomly over your garden could reap some interesting rewards. It's more reliable though to use your expert knowledge to plan your approach - what would work best and in what order? That’s what people like me from all over government have been doing with CSL this last year. While they’ve been working tirelessly behind the allotment gates sourcing new learning suppliers, we’ve been digging deep into what learning the Civil Service needs, and how to make it really relevant, useful and interesting. ... that likes the new plants, the exciting grafted ones. Then there are those who like the hearty traditional crop; and those who realise it’s easier to plant fruit trees instead, and devote yourself to boiling up lots of jam and chutney. Me, I’m a soil fan – because that’s where it all begins. So, when the TFGs were being set up, of all the learning topics available, I picked mandatory learning – the soil option. Over 200,000 of you left your footprints in it last year. I’m a learning expert, not a specialist in digital, diversity and inclusion, or information security. So, there are lots of subject-matter experts working with us on the TFGs. This means we can mix their expertise with our knowledge on how people learn best. Now that our new learning supplier KPMG and their partner LEO are on board, we’re starting to sow some seeds that have great growth potential. Turning over the soil is hard graft - the planting’s much more fun and rewarding. It doesn’t help, either, if your spade is a bit rusty or your wellies let the water in. So we’re working on making the time you’ll spend on mandatory learning as short and useful as possible. We want to move away from re-checking your knowledge every year ‘just because’, to being much smarter about when you need updating on things, and to what extent. Imagine if we asked you some questions up front – get them right and you’re done. No extras needed. Sound good? That’s another thing we’re checking – that sound will be available on some online learning in future, so you’ll be able to hear it in the future, not just ‘click it’. We’re even scoping out if we can get people doing their mandatory learning before they join us. You know, while they’re serving out notice elsewhere or finishing up college or university, waiting for their September start date. So, to sum up, your learning greens should be tasting much better in the future. Yes, you’re still going to get asked to eat them off your plate - but mandatory learning shouldn’t be quite so yucky a task. Analogies make me switch off during the first paragraph. It tells me more work has gone into clever delivery than in the message itself. Good to hear new recruits complete their mandatory learning before starting their new job, not only saves valuable time but gives them knowledge/awareness. Do you think the Civil Service can keep its trained talent? Do you have figures on how many people complete their training and leave the Civil Service for better paying jobs (often back in the Civil Service buildings as contractors)? Erm I think that happens because people get paid more money doing that. But I couldn't possibly confirm this myself having never done such things. Good point, however I personally am not opposed to that. If people want a higher paying job as a contractor, good for them. Some people want a high salary, some people just want to serve the public by being in the civil service. They could train people, and at the same time make plans to get more work done in-house rather than through contractors. However there are political beliefs out there that the private sector is more efficient. Who knows if on average this is true or not? It's not what's true, it's what people believe to be true. "a brand new learning and development offer"? "throwing seeds randomly over your garden"
"I picked mandatory learning-the soil option"
What is this stuff? Perhaps it is me being old and crusty but rather than motivate me it just makes me cringe. And I quite liked the courses provided by people who have just been sacked. The Excel and project management courses I was doing have been pulled and don't seem to be available under the new regime. The only gardening metaphor you haven't used is 'turning over a new leaf'. Im sure you can plant it in somewhere.